From modern resorts to traditional villages, you can find a little bit of everything on holiday in Greece. You’ll uncover beautiful scenery, much-loved beaches and fascinating history, with islands like Corfu, Crete, Kos and Zante having a mix of chilled and lively resorts and Halkidiki and the island of Rhodes adding a spot of relaxed culture. With its sandy beaches, historical sights and beautiful scenery, Cyprus creates a perfect holiday. The island for all seasons, Cyprus enjoys year-round sun, great nightlife and a wonderful atmosphere. 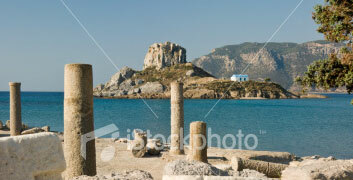 Said to have been Aphrodite’s birthplace, it’s easy to see why holidaymakers fall in love with it. Bordered by blue water and golden sands, the fun-filled island of Corfu is as green as an emerald in the warm Ionian Sea. Its blend of pine-covered hills, lively resorts, whitewashed villages and cobbled streets make this stunning island a Greek classic. 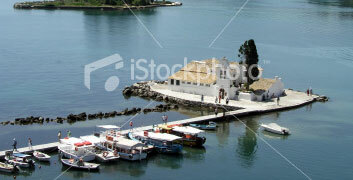 Corfu lies in the Ionian Sea, off the mainland's west coast and close to Albania. Mountains, sweeping golden sands and ancient ruins make Crete an island of exploration. Throw its vibrant nightlife, watersports and cosmopolitan resorts into the mix and you'll find a holiday destination offering everything you need for culture, relaxation and fun in the sun. Silver birch trees, breathtaking mountain drops and a beautiful coastline make up Kefalonia, the largest of the Ionian Islands. Explore its winding roads and you'll find hidden coves, bustling little tavernas and friendly locals. 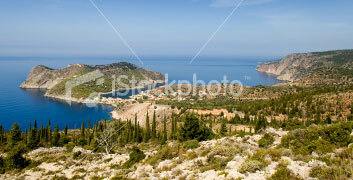 Kefalonia sits off the west coast of mainland Greece, surrounded by the Ionian Sea. Mixing culture, fun-filled resorts and pretty little beaches, the island of Kos has it all, perfect whether you want to laze away your holiday on the beach, stroll around charming little harbours, discover historic sights or experience Kos's cool night-time scene. 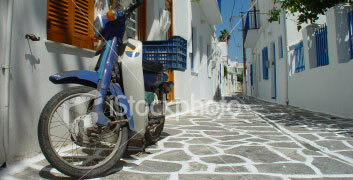 The second biggest of the Dodecanese Islands, the Greek island of Kos lies in the Aegean Sea, just off Turkey's coast. KONTOKALI BAY RESORT & SPA is a Hotel-Bungalow complex on the central eastern shoreline of the emerald Isle of Corfu, situated only 6 Kms. from the islands capital, Corfu Town. Built on a densely wooded peninsula and on a natural incline, the Main Building of the Kontokali Bay overlooks both the sparkling blue waters of the Ionian Sea that separates Corfu from the taupe, coastal mountains of the Greek Mainland and the Gouvia Marina. The Bungalows are set in the midst of pine and cypress-laden garden, full of vibrant red and mauve bougainvilleas that add the artists final brushstroke to this perfect canvas. A fun and lively complex popular with families with young kids, Zafiris Apartments are the place to come if you want a sociable holiday full of fun. There's a sandy cove just 50m away, or head to the main beach which is a little further.